Do you need to make organizational changes? and you prefer to keep staying old fashioned. Nikrad presents an easy to use, modern and efficient enterprise software that is designed to be a world standard business management solution with emphasis on small to mid-sized businesses. It brings a full featured paperless office to you and provides marketing, sales and customer service teams with the tools they need to sell more and provide industry leading customer care. and extensible business management solution with emphasis on CRM and ERP principles and as a web based and integrated collaboration suite supports business processes, information flows, reporting, and data analytics in all types of businesses. Nikrad Enterprise Dynamics is a collection of intelligent information systems installed on the enterprise platform utilizing platform features such as worktable, departments, cases, workflow, assignment, data forms, security and so on to provide supplementary features. 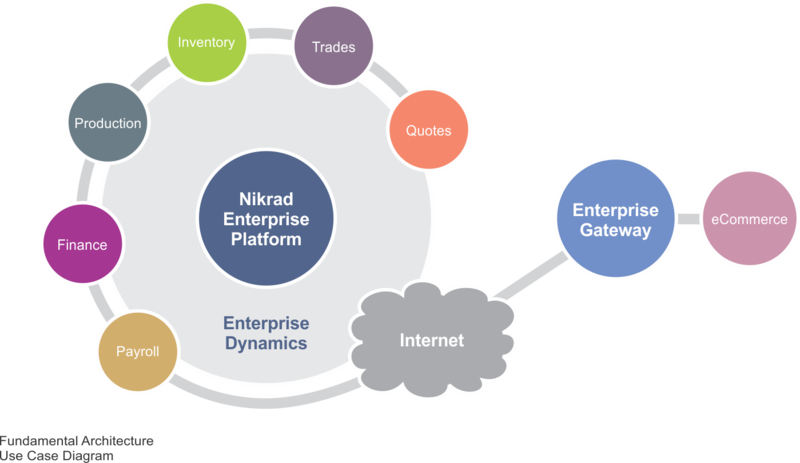 Nikrad Enterprise Gateway is an extra enterprise area portal including several subsystems that could be run through an independent web application alongside enterprise platform as an information sharing mechanism between an organization and its clients over the Internet.